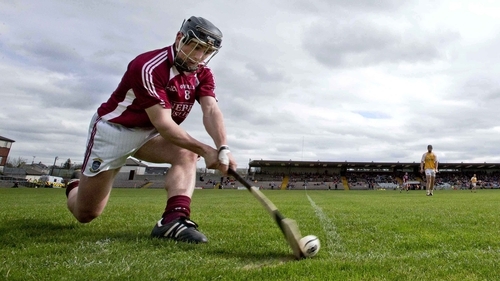 Goals from Eoin Price and Derek McNicholas helped Westmeath hurlers to a comprehensive 2-22 to 1-11 victory over a poor Offaly side at Cusack Park Mullingar. A brilliant five minutes after half-time saw Westmeath build on a strong first half and with a 13-point lead to their name they would never be caught in this Leinster SHC qualifier group first-round clash. Paddy Murphy goaled for Offaly midway though the second-half but when Price hit the net in the 69th minute Westmeath had real value for their performance in the first Leinster hurling championship meeting between the sides in 40 years. It was a storming first-half from Westmeath and even with a 1-9 to 0-7 lead at the break, they deserved to be much further ahead, such was their dominance. After the first eight minutes play, Offaly had led by 0-2 to 0-1 through a Shane Dooley free and a brilliant Sean Ryan effort from his own half. However, the Faithful County’s challenge took a severe nosedive in the following 20 minutes. Liam Varley linked beautifully with McNicholas for a 10th-minute goal to give Westmeath their first lead, and three points in the following three minutes from Price, Niall O’Brien and Alan Devine had the home side 1-4 to 0-2 ahead. In the 18th minute, Westmeath felt like they should have been awarded a second goal when O’Brien’s long free was broken by the Offaly goalkeeper James Dempsey. The ball appeared to hit Dempsey’s hurley bag which was approximately a foot over the line and rebound out, but neither the umpires nor referee Sean Cleere were convinced enough to award the goal. Shane Kinsella hit over a well worked Offaly point to cut the lead to four points in the 21st minute, but the home side landed five of the next six scores to lead by 1-9 to 0-4 at the half-hour mark. Two quick frees from Dooley were followed by a brilliant solo effort from substitute Killian Kiely, but the same player was involved in an off the ball clash with Gary Greville seconds later, where he was fortunate to escape with just a yellow card. Coming out against the elements in the second half Offaly needed to start well, but instead Westmeath hit five consecutive points to put the result beyond doubt. Joe Bergin scored a free in reply for Offaly, but they desperately needed a goal and Eoin Price’s second point put Westmeath 1-18 to 0-8 in front with 21 minutes left. Murphy scored the first goal conceded by Westmeath this year in the 54th minute to trim the lead to 10 points, and Offaly momentarily looked set to launch a remarkable comeback. But it was too late and Westmeath steadied the ship with Price’s goal. Westmeath: P Maloney; S Power, T Doyle, T Gallagher; A Craig, A Clarke, G Greville; C Boyle (0-03), R Greville; A Devine (0-01), N O’Brien (0-07, 0-05f), E Price (1-05); L Varley (0-02), D McNicholas (1-02), D Egerton (0-01). Subs: D Clinton (0-01) for Varley (60), N Mitchell for Devine (63), B Murtagh for Egerton (68), A McGrath for Gallagher (70), J Galvin for Boyle (71). 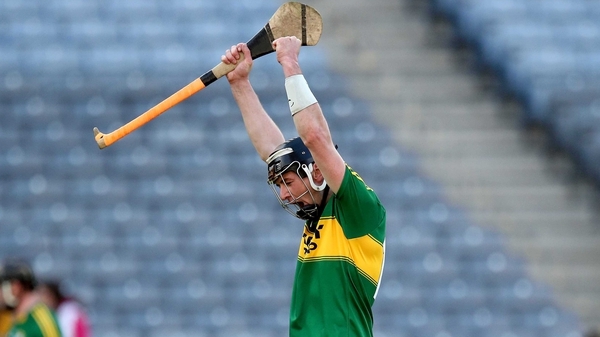 Offaly: J Dempsey; D Mooney, C McDonald, P Rigney; S Ryan (0-02), D Kelleher, P Camon; P Murphy (1-01), S Kinsella (0-02); C Egan, S Dooley (0-03, 0-03f), J Mulrooney; K Connolly, J Bergin (0-01, 0-01f), B Conneely. Subs: K Kiely (0-02) for Mulrooney (28), S Cleary for Conneely (35), P Guinan for Dooley (35), D Shortt for Kelleher (52), D King for Connolly (52), K Connolly for Ryan (60).